At Atec, protection of your intellectual property is the utmost on our minds. In order to accomplish this, a multilayer technique is used to secure at the network edge, remote access, intra-company communication, external communications, network infrastructure and workstations. 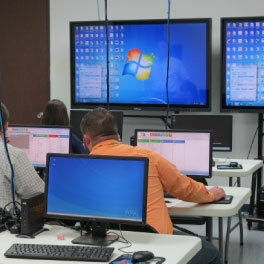 Atec’s IT Infrastructure is built from the ground up, using the latest techniques and hardware, to provide the utmost in security, stability, performance and multiple fault tolerance at each location. Atec, Inc. is committed to protecting the confidentiality, integrity, and availability of information to which it has been entrusted. Atec, Inc. maintains a NIST 800-171 compliant information security program to safeguard Controlled Unclassified Information (CUI) as well as the confidential information of Atec’s staff, customers, and suppliers. The Atec Information Security Program drives the technical, administrative, and physical controls that enable compliance with federal law, regulations, customer contractual requirements, and standards regarding information security and privacy. For more information on the Atec Information Security Program, please submit a request here: https://www.atec.com/contact/.